Casting on two key roles for Outlander Season 4 was announced today by Starz, in association with Sony Pictures Television: Maria Doyle Kennedy (Orphan Black, The Tudors) will portray Jocasta, Jamie's strong willed Aunt and Ed Speleers (Wolf Hall, Downton Abbey) will play the role of Irishman Stephen Bonnet, a pirate and smuggler. Filming of Outlander Season Four commenced this week in Scotland. The fourth season of the Golden Globe nominated series Outlander will include 13 episodes based upon Drums of Autumn, the fourth of eight books in Diana Gabaldon's international best-selling Outlander series. The upcoming season continues the romantic adventures of Claire (Caitriona Balfe) and Jamie Fraser (Sam Heughan). Maria Doyle Kennedy is an acclaimed singer and actor. She has spent the past five years traveling the world with her family preparing songs for the new album, gigging constantly and filming the TV show Orphan Black. Other recent acting credits also include Downton Abbey, The Conjuring 2 and Sing Street. Maria's album "Sing" was released in 2012 and featured duets with Damien Rice, Paul Brady and John Prine. Ireland's leading music magazine Hot Press described Sing as "Maria's Masterpiece." Maria has recently collaborated with Feist & Jarvis Cocker on a video for the song "Century" from Feist's new album. Maria writes and performs with husband Kieran Kennedy and along with the new album, they have also completed their first short film A Different Kind of Day, written and directed by Maria, produced and scored by Kieran. Ed Speleers is a British actor who has crafted a career across both film and television over the past ten years. He was recently seen in the acclaimed adaptation of Wolf Hall, the award-winning Downton Abbey and ITV primetime drama Beowulf. His most recent credits include roles in Andy Serkis' Breathe with Claire Foy, plus Andrew Garfield and Lars Von Trier's The House that Jack Built. In 2016, Ed was seen in Disney's Through the Looking-Glass directed by Tim Burton. His breakout role was playing the lead in Eragon. He was selected by director Stefen Fangmeier after a worldwide casting search and selected to play the lead role. Other film credits include A Lonely Place to Die, Howl, Plastic and Love Bite. Outlander Season 3 is currently airing new episodes on Sunday nights on Starz. The eagerly-awaited reunion in episode 306 will air on Sunday, October 22nd at 8PM ET/PT as a special, extended 74-minute episode. 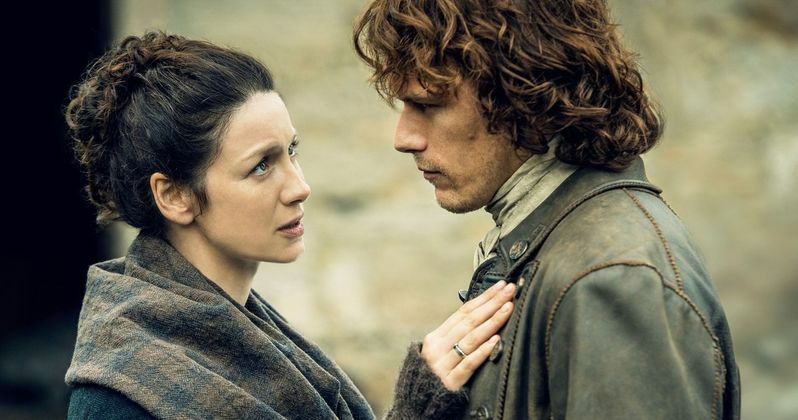 The supersized episode will be the first time fans get to see beloved characters Claire and Jamie together again, after being separated for 20 years. Diana Gabaldon's eight-book Outlander series has sold more than 28 million copies worldwide and all the books have graced the New York Times best-sellers list. The Outlander series spans the genres of history, science fiction, romance and adventure in one amazing tale. The second season of Outlander won the Critics' Choice Award for Most Bingeworthy Show, and four People's Choice Awards, including Favorite TV Show. Series creator Ronald D. Moore, Maril Davis, Matthew B. Roberts, Toni Graphia, and Andy Harries serve as executive producers of "Outlander," which is produced by Tall Ship Productions, Story Mining & Supply Company and Left Bank Pictures in association with Sony Pictures Television. Starz retains all domestic multiplatform pay TV rights to the original series.